« PAL® is Participating in Amplify Austin! Kick Butts Day is a national day of activism that empowers youth to stand out, speak up and seize control against Big Tobacco. 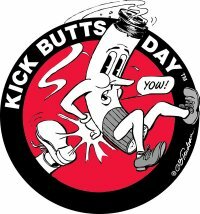 The next Kick Butts Day is March 20, 2013. We’re expecting more than 1,000 events in schools and communities across the United States and even around the world.